Like the myriad of cannibalistic crime reports that seem to be popping up all over the internet right now, there are some stories so strange and frightening we can't help but spread them. Not only because they are shocking and sure to garner our friends' notice, but also because they—for a moment at least—force us to reconsider what we think we know about human nature. The same could be said of the incredible story of young Nicholas Barclay, a 13-year-old Texan who went missing on June 13th, 1994, vanishing without a trace. The boy's family was devastated, but kept hope alive that Nicholas would return to them. Then, in 1997 the Barclays got a phone call that would change their lives forever. What happens next is the subject of Bart Layton's chilling documentary that's screened at Sundance and SXSW this year. Get a hint of the what The Imposter has in store with the trailer below, or see it high-res at Apple.com. While the trailer points pretty heavily to where the case of Nicholas Barclay heads, be warned there are spoilers ahead. Initially overwhelmed with relief and joy to get their son back, the Barclays clung to the strange young man who showed up at their home, even though his eyes weren't the same color as the boy they knew, and he spoke with a pronounced French accent. But as days go by, they come to the fearful realization that this brown-eyed boy is not Nicholas Barclay, but rather a notorious imposter known as "The Chameleon." The story itself is harrowing, but from this stylish trailer it seems that Layton lays it out with a thoughtful and haunting approach, colored with vivid re-enactments, and insightful and intensely personal interviews, that is sure to make it a must-see for documentary devotees and true crime fans alike. 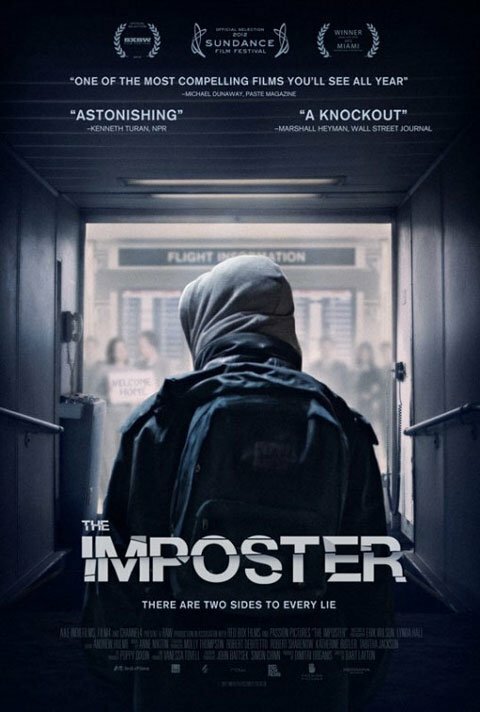 The Imposter opens July 13th.